FULL FREIGHT ALLOWANCE ON ANY QUANTITY! 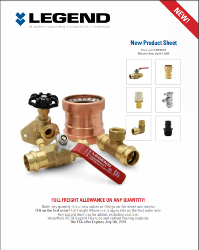 Order any quantity of our new valves or fittings on this sheet and receive FFA on the first order! Full Freight Allowance is applicable on the first order only. 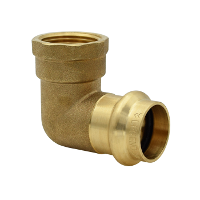 Any Legend item may be added, excluding cast iron, HyperPure PE-RT/Legend Flex tube and radiant flooring products. The FFA offer Expires July 5th, 2019. 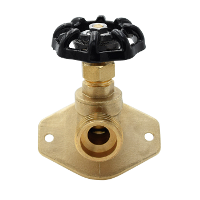 Click on the tabs below to see the new product offerings by Legend. 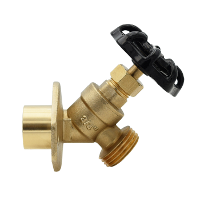 P-202NL No Lead Forged Brass Press Ball Valve with Drain offered in 3 sizes: 1/2", 3/4", and 1". 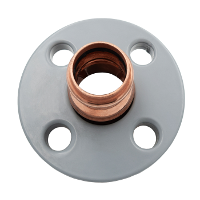 T-514NL Flange Sillcock FNPT offered in 2 sizes: 1/2" and 3/4". 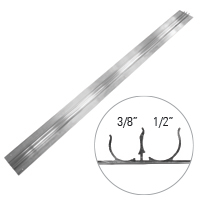 S-514NL Flange Sillcock Sweat offered in 2 sizes: 1/2" and 3/4". 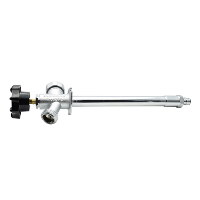 T-552P Multi-Turn Frostfree Sillcock F1960 PEX are available in 4", 6", 8", 10", 12" and 14" lengths. 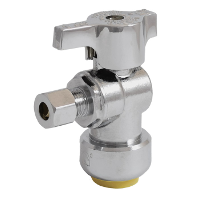 The T-596NL Push x OD and the T-595NL Push x OD InstaLoc® 1/4 Turn Push-Fit CP Supply Stop are now offer bulk Contractor cartons of 60 pieces. 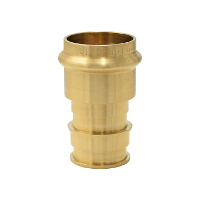 LegendPress™ x Flange Adapters come in the following sizes: 1", 1-1/4", 1-1/2", 2", 2-1/2", 3" and 4". 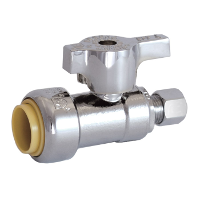 LegendPress™ Reducing Coupling is now available in the 1-1/4" x 1/2" size to add to our existing offerings. 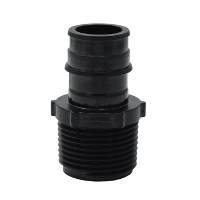 More Information: 1-1/4" x 1/2"
LegendPress™ x FNPT Adapter is now available in the 2-1/2" and 3" sizes to add to our existing offerings. 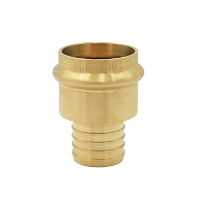 LegendPress™ x PEX Adapter F1807 come in the following sizes: 1/2", 3/4", 1", 1-1/4", 1-1/2", 2". 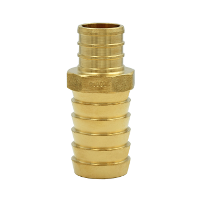 LegendPress™ x PEX Adapter F1960 come in the following sizes: 1/2", 3/4", 1", 1-1/4", 1-1/2", 2". LegendPress™ x LegendPress™ x F1807 PEX Tee come in a variety of sizes. 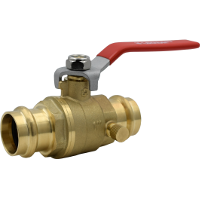 More Information: 3/4" x 1/2"
More Information: 1" x 1/2"
More Information: 1" x 3/4"
More Information: 1-1/4" x 3/4"
More Information: 1-1/2" x 1/2"
More Information: 1-1/2" x 3/4"
More Information: 1-1/2" x 1"
LegendPress™ x LegendPress™ x F1960 PEX Tee comes in a variety of sizes. LegendPress™x LegendPress™ x FNPT Tee offers a range of sizes from 1/2" to 1" x 3/4". 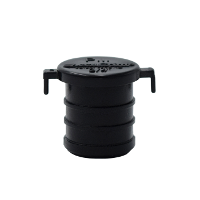 LegendPress™ x MNPT Elbow comes in a variety of sizes from 1/2" through 2". LegendPress™ x FNPT Elbow comes in a variety of sizes from 1/2" through 2". 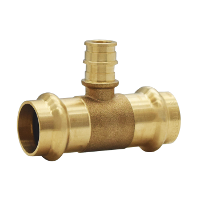 PEX x Insert Adapters come in 3/4", 1", and 1-1/4" sizes. All sizes are No Lead. 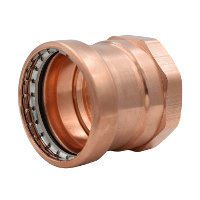 F1960 PEX x Insert Adapters come in n 3/4", 1", and 1-1/4" sizes. All sizes are No Lead. 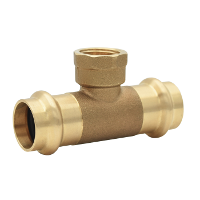 F1960 PEX x Sweat Elbows are offered in the 1/2" size and 3/4" size. They are both no lead products. 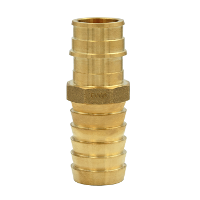 F1960 PEX x CPVC Adapters are offered in 3 sizes: 1/2", 3/4", and 1". 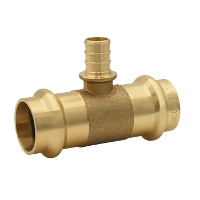 PPSU F1960 PEX x MIP Adapter comes in 1" sizing. 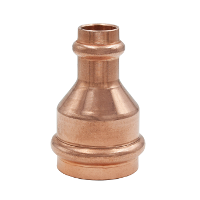 F2159 Temporary Test Plugs come in 1/2", 3/4", and 1" sizes. 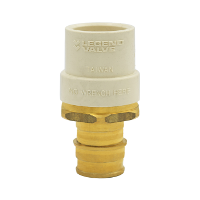 Balancing Valve w/ Optional Flow Meter comes has a variety of sizes and connection types (MNPT, FNPT, SWT, etc...) and can be used with the Legend Connect™ System. 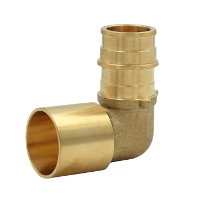 More Information: 3/8" - 1/2"
Duo Heat Transfer Plate is now available and the design allows for either the 3/8" - 1/2" tubing. 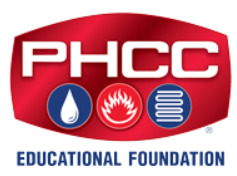 Designed to create high performance hydronic radiant heat systems for new and retro-fit projects. 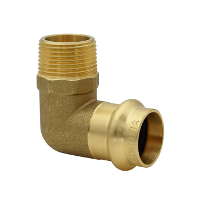 The rigid extrusion and tight tube grip provide excellent heat transfer without expansion noise. 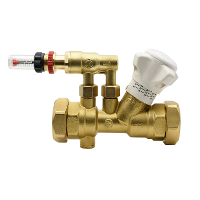 Accepts PEX, PEX-AL-PEX, PE-RT and copper tubing without the need for additional fasteners or adhesives. 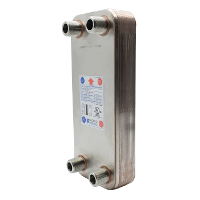 Double Wall Heat Exchangers are now available!